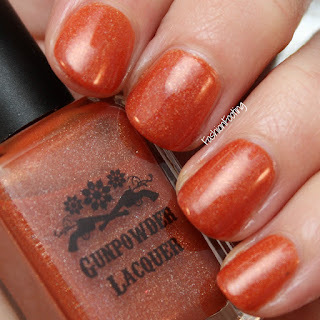 Today I have some new polishes from a new and new to me brand, Gunpowder Lacquer! I purchased two from their Wild at Heart Collection so let's take a look! Burning Leaves is a burnt orange holo. This had a really nice formula and was opaque in two coats, plus topcoat. 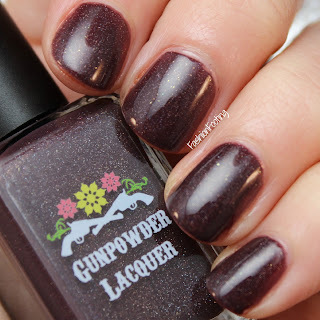 Horse Pasture (LOL) is a purple toned brown holo. 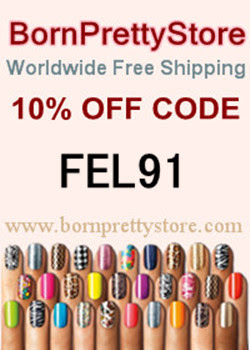 Another great formula and opaque in two coats, plus topcoat.